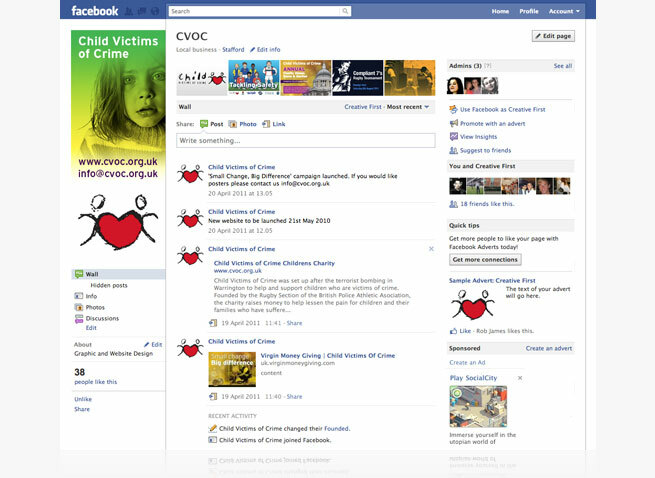 Child Victims of Crime are the only national police children’s charity. 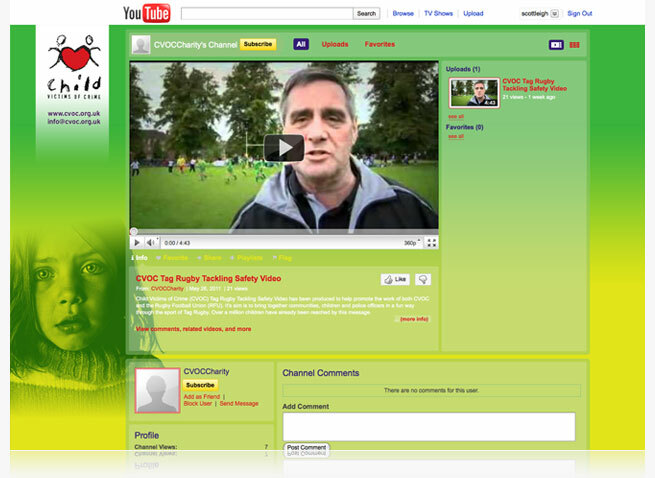 We are now helping them with their social media, blog and website management. 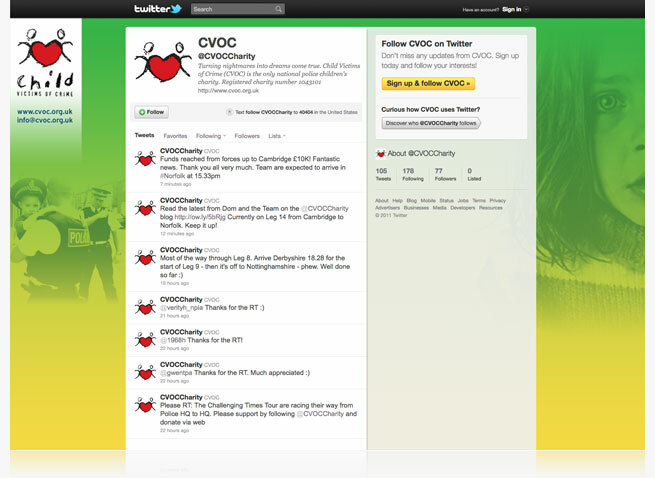 We are proud to be able to help the wonderful team at CVOC in all the good work they do. 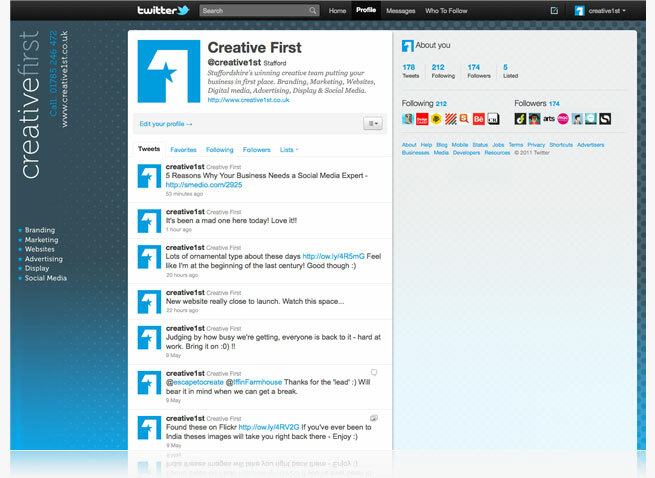 As part of our Social Media Management service we can design Twitter pages in your corporate style using your business branding. It’s like having another website. An important part of our Social Media Management service is managing your online reputation of which your image plays a big part. 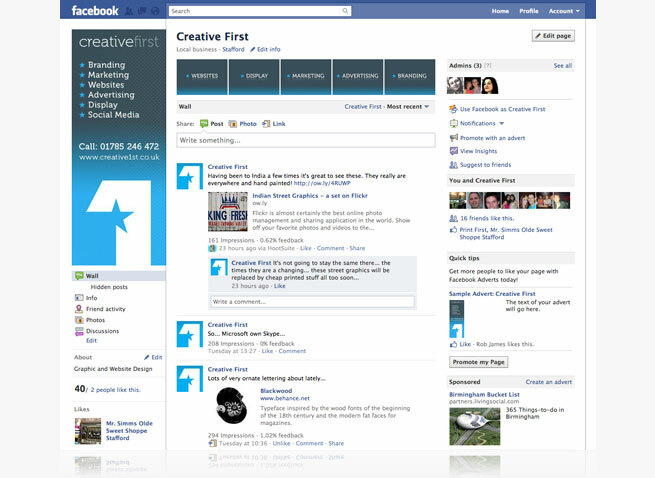 We can stylise your facebook pages using your corporate styling and your business branding.